Salisbury Arts Festival | Richard Griffiths & Co.
Richard Griffiths & Co co-sponsored British jazz artist, Courtney Pine, to appear at Salisbury Arts Festival on Wednesday 1st June. Pine played the bass clarinet and was accompanied by pianist Zoe Rahman, together providing an evening of exceptional talent to a full Salisbury Playhouse. 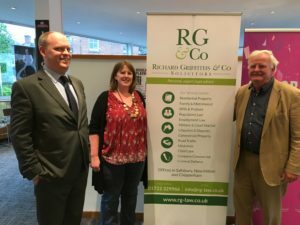 Richard Griffiths said: “Richard Griffiths & Co has been providing legal services in Salisbury since 1979, founded on the belief that every individual has a right of access to justice, just as every individual should have a right of access to the Arts. It is part of the fabric of society which binds us all together as human beings. Whilst this is our first year as event sponsors we have, as individuals, been avid supporters of the Salisbury International Arts Festival for many years. 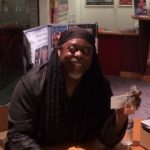 We are thrilled to have the opportunity to co-sponsor Courtney Pine this year with Wiltshire Life. 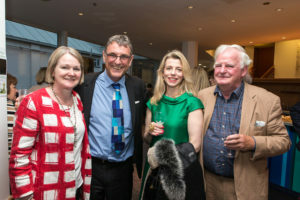 Mark Allen (publisher and editor of Wiltshire Life) and I are close friends and our combined love of Jazz made this the perfect event to co-sponsor”.